Swan Creek Candle Co is a brand I’ve always enjoyed but rarely indulge in. I don’t know why that is considering this company makes some pretty darn YUMMY fragrances. Well, I’ve decided I’m going to remedy that. I ended up purchasing a ton of new scents to review in both candle and drizzle melt form and so far, I’m in love. Some scents are pretty light, some stronger but the consistent part I love about this brand…. every scent smells authentic and good enough to eat. That’s the most important element to me. If the candle is light, I simply move it to a smaller room. Easily remedied. You can tell their wax is pure soy from it’s crumbly and soft texture and Swan Creek is so great at presentation. They offer quite the selection is style candles and sizes and their drizzle melts are just as darling. Definitely check out this company out if you’re searching for a new soy brand to try. You won’t be sorry. 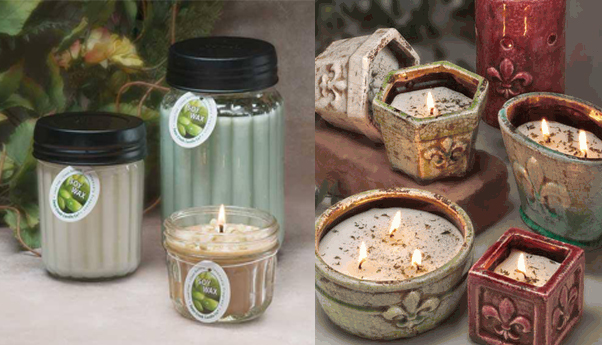 This page will house all the Swan Creek candles I review in both candles and melts. First up… Le Petite Macaron. Mmm! Mmm! Mmm!! Rich cranberry, fresh apple cider, and mild cinnamon make this a customer favorite. Remember when: Saturday morning + bowl of cereal + cartoons = THE BEST!!! Fruity berries, crushed cocoa and toasted corn notes are layered with coconut milk, vanilla sugar cane and fresh cream for a rich, smooth and creamy treat that will instantly take you back in time! A fun, unique fragrance that brings a smile to all! Roasted pistachios, whipped honeycomb, white rum and fresh cream are blended together for a unique, lush gourmand sensation that is smooth and sharp at the same time - perfect for any foodie! A more custard vanilla, rich creamy notes are sure to please! Our original vanilla fragrance, just like the ice cream, you can’t go wrong with this! An absolutely divine fragrance overflowing with lush ripe blueberries, and a tart yet subtle zing of lemon, surely to please all your senses! Your friends will wonder where the cookies are! Cinnamon, butter and sugar make this irresistible! A delicious blend of rich caramel and fresh maple syrup! Tart Raspberries drenched in sweet whipped cream. YUM!! Exotic citrus notes of Bali combined with the aroma of fresh cut lemongrass. More of a sorbet fragrance that is sugary and sweet with hints of orange, lemon and lime zest. Drizzle Melts are reminiscent of the wonderfully delicious layered treats that we all remember from years past. You don’t need the fair for sticky buns! A high throw of cinnamon with a mild buttery cake throw will have you waiting for more! The throw of pure hazelnuts will have you wanting to add this to your coffee- but please- don’t. Lush golden caramel, spun sugar and whipped buttercream combine with hints of amber, oak and bourbon for a rich, deep, complex maple fragrance experience - very warm and inviting! An indulgence of raw coconut enhanced with almond, cinnamon sugar and toasted tonka beans - whipped vanilla adds the final note for a wonderful, gourmand fragrance. Traditional notes of Heirloom Pumpkin, fresh ginger, shaved nutmeg and vanilla bean are completed with roasted pumpkin seeds for a creamy, spicy and slightly smoky favorite. Notes of pumpkin spice, mild cream with notes of cinnamon and nutmeg- there's no waiting in line for this but we cannot serve it iced.